On the Dropbox tab, click Add Dropbox. Assuming you’re signed in to your Dropbox account, click Allow to grant Grepsr access to your folders. 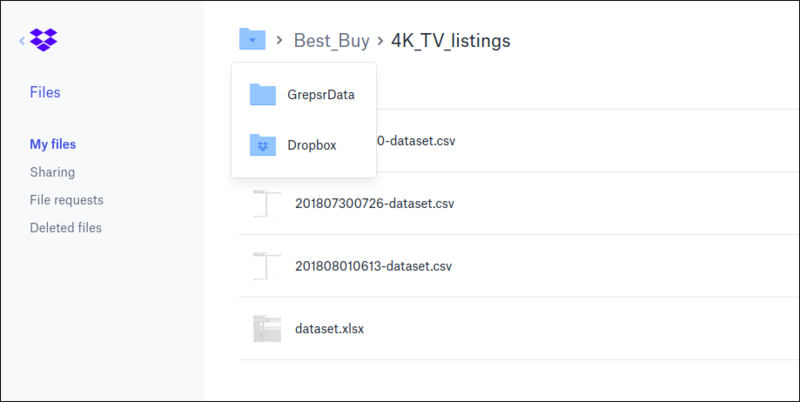 Once linked and your data is exported, Grepsr will create a folder named “GrepsrData” in Dropbox, within which are sub-folders named after your project and report respectively (i.e. “GrepsrData/Project_Name/Report_Name”), and upload the data to this location. You can edit the location to your liking at any time. Checking the “Replace old files” option removes the timestamp from the filename, so the file is overwritten with the latest updated version on each export.